Victim Support is a non-governmental national charity that helps victims of crime cope with their trauma. 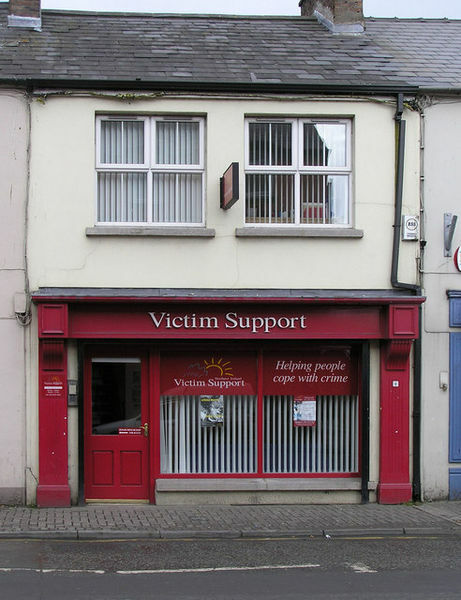 Victim Support has offices scattered across the length and breadth of United Kingdom. Volunteers form the core of the organization. They assume a varied range of roles – from being confidants to victims, informing them about their rights, advising victims on the ideal legal course of action, acting as liaisons for related organizations, etc. Over the years, Victim Support has grown in stature and reputation. So much so that its services are recognized by police departments, in spite of the fact that it does not a government agency. Victim Support extends its help to all people residing in the United Kingdom, irrespective of their race, ethnicity or place of origin. More importantly, in spite of its popular recognition, the organization maintains its independence from executive and judicial branches of governance. In recent years, this national charity has come to the aid of nearly 250,000 primary and secondary victims across the UK (Newburn, 2006). Victim Support provides comprehensive guidance to victims of crime; right from the time of the incident to after court situations. Many people have apprehensions in speaking openly to police officers about the trauma they were subject to. There could be many reasons for this, including the perception that police personnel are apathetic and businesslike in their approach to domestic violence. Also, police officers are caught up with more serious criminal offences that they tend to treat domestic violence as trivial and insignificant. Nevertheless, the severity and significance of any episode of crime and abuse is only known to the victims themselves. Victim Support recognizes this fact and dedicates a lot of its resources in providing personal support in the form of post trauma counselling, etc (Shepherd, 1998). Victim Support volunteers make it easy for the victims (both primary and secondary) by assuring them of confidential and non-judgmental support. Victim Support primes the victims as to what to expect from the criminal justice system and various courses of actions that they can take legally. Most victims of crime are not in a condition to report of domestic violence immediately after the incident. Understanding this limitation on part of the victims, Victim Support provides counselling services irrespective of the elapsed time. It also gives help-seekers the option not to disclose their identity. For example, victims of hate crimes like racial incidents and crimes against lesbians and gays are of a sensitive nature. Taking this into account, Victim Support provides its services for anonymous reporters of incidents of violence. In this respect, Victim Support has played a stellar role so far (Mawby, 1991). Victim Support understands the importance of pecuniary compensation for victims of crime. Although such compensation will not negate the difficulties subsequent to a traumatic event, they at least give financial support to the recovering victim at a much needed time. Compensation can essentially be warranted for personal injuries and damage to properties. Victim Support volunteers are well-versed in legislations pertaining to compensations and instruct the victims as to the ideal course of legal action that would fetch them fair, just and much needed financial support. The organization does a commendable work in helping the victims sue their offenders (Schafer, 2006). The most admirable thing about this charitable organization is its endeavours toward preventing domestic crimes in the first place. For example, people who were victims of crime are more likely to be subject to similar crimes in the near future. Victim Support works alongside local agencies and the police department in providing crime prevention advice and may even run specialist services such as lock fitting. Local Neighbourhood Watch Schemes are drawn as well, to nip potential crimes in their initial stages (Temkin, 1990).